It always seems that a good part of every weekend is spent working on some home improvement project. Either we’re replacing the leaky kitchen sink, fixing the upstairs toilet that keeps running, or the usual sort of stuff like cleaning the gutters and raking the yard. Sometimes we guys get lucky and can work on something we actually want to work on, like a mancave or setting up a home office the exact way we want. Another project that is worth the time and effort, that is also fun, is making something for the kids. As much as we try and deny it, our kids are growing up. The happy little twerp that was glued to your leg is now a moody teen who wants to be left alone in his room. Why not make him a dream room he will love? Ideally, the best place is a basement or an attic. It gives the budding adult a greater sense of privacy, while allowing you to still keep an eye on him. The key here is to let them have a major say in how the room looks. If they want everything painted black and dark purple, like their favorite band (or whatever sort of music they like) then let them paint the room that color. It will show them that you value their thoughts and ideas. Did I mention that they also have to help? Working on their own room like that will give them a greater appreciation for what they built. Remember, it’s during these years that a teen will be tempted to do things like drinking or drugs. If they have a cool place where they feel in control, that along with your guidance, make all the difference in what choices they make. 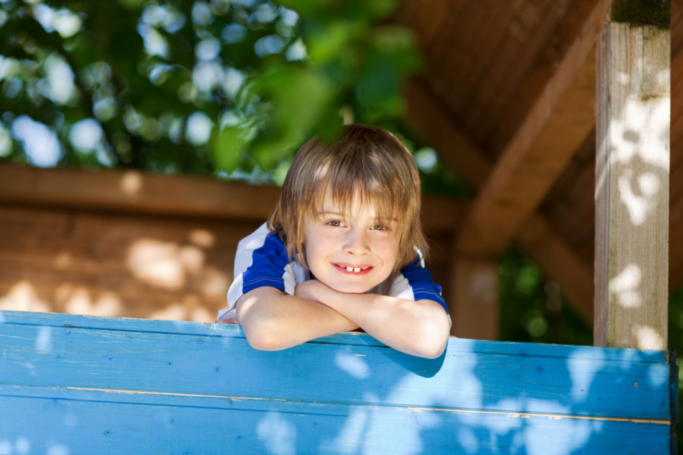 The treehouse has been a staple for boys and girls of all ages for a long time. This is one of those things that has gotten better over the years, because there are more options than ever. If a yard doesn’t have big enough trees to build a treehouse, you can build a fort. Pirate ships and rockets are also an option. There are tons of YouTube videos that can give dads a step by step guide to build whatever they want. If you aren’t gifted in the carpentry arts, there are kits you can buy. These are relatively easy to assemble, but still give the dad an excuse to bust out the tools and let the kids watch while he builds something. Failing that, there are even professional treehouse and fort builders who will do all the work, but where’s the fun in that? The best thing about a regular playroom is that it can be used all year long, regardless of the weather. There is also a lot of flexibility in what can be done. No matter what the kids are into, building the perfect playroom is a cinch. It can be a rough and tumble superhero lair, or the ballroom in a castle. Decorating the playroom is easier than most people expect. The main thing is to keep it fun and fitting with the chosen theme. Having custom chairs with the most creative upholstery fabric is a great way to bring a playroom together, and spark a child’s imagination. To them, you aren’t building a playroom. You’re building them a magical place all their own. The list of things a dad can do is nearly endless. The project can be indoor or outdoor, and depending on the age of your kids, the scope and tone can go from princess in pink to rock stars in black leather. If there is enough of an age difference, you might have to do more than one project. Like that’s a bad thing. Use these few ideas to get you started. Take them, run with them, and make them your own.